Once Your Petition is Filed with the Fort Lauderdale Bankruptcy Court. When the petition is filed, the Bankruptcy Court will mail a Notice of Bankruptcy Case, Meeting of Creditors, and Deadlines. This Notice will be mailed to all of the creditors that were included in the petition, to the debtor, and his attorney. The notice will tell all your creditors the time and place for your "341 meeting" with the trustee and creditors. Immediately upon filing bankruptcy, your creditors are prohibited from contacting you. Filing bankruptcy creates an "automatic stay" - that is legal jargon for "don't go there." It protects you from their harassing collection methods. The automatic stay also stops any legal proceedings that are pending in state court, or garnishments. If you're also involved in foreclosure action, a "suggestion of bankruptcy" is filed with the state court letting them know that you've filed bankruptcy and that notice to the state court stops the foreclosure until the bankruptcy case is resolved. If you have been served with any lawsuits prior to the bankruptcy or after you retain your attorney, give your bankruptcy lawyer a copy of the lawsuit. Motion for Relief from Stay. Although filing bankruptcy produces the automatic stay protection, creditors may file a Motion for Relief From Stay so they can pursue collection efforts for their secured loan. If you are contacted by a creditor after you have filed your bankruptcy case, give them your case number and your attorney's contact information. At the Bankruptcy Law Firm of Clare Casas, we are serious about stopping harassment by creditors. Upon retaining our firm, we ask you to sign a power of attorney that informs the creditor that you are now represented by our firm and that they are not to contact you anymore in reference to your debt. The power of attorney directs them to contact our firm instead. Some creditors are stubborn and will continue to contact or send collection letters after they have been advised that you filed bankruptcy. If this happens, keep a record of the contact by the creditor. Be sure to include (if possible), the name of the person who contacted you and when or how they contacted you. It is a good idea to keep a "contact journal" near the telephone so you can have written documentation of their contact after you have told them that you filed for bankruptcy and are represented by an attorney. The Fort Lauderdale Chapter 13 Trustee is tasked with making sure that the payment plan is one that the debtor can complete without undue hardship. All payments under the plan are sent to the Trustee and the Trustee disburses them to the creditors. The Trustee may also file a motion to dismiss your bankruptcy case if you miss even one payment so if you are in a payment plan - take it seriously and don't miss a payment! Chapter 13 Creditors Meeting with Trustee. After you file your petition, a meeting with the trustee ("the 341 Meeting") will be scheduled approximately 21 days after you file your bankruptcy. At this meeting, the Fort Lauderdale Chapter 13 Trustee will let you know if there are changes that need to be made in your Plan through an Amended Plan. It is not uncommon for clients to have to submit one or more amended Plans before the Trustee approves the final plan. This meeting is scheduled approximately three to four weeks after the filing of the petition. Although your creditors can attend and ask you questions, it happens rarely. At this meeting, you be asked basic questions about your petition, your signature and asked to show your identification and social security card. It is very important that you do everything in your power to attend this meeting. Bankruptcy attorneys cannot request particular days and times. If you can't attend this meeting, you should give your attorney as much advance notice as possible but at least 7 days minimum notice. Your attorney will contact the trustee and ask for a rescheduling of the meeting. Although the Trustee will usually reschedule the meeting - if you miss the rescheduled meeting for any reason, your case will be recommended for dismissal by the trustee. Bottom line: this is an important meeting and you should not miss the first one. After your meeting with the creditors, you must attend a financial management course and file the certificate of completion with the court. If any creditors are going to submit a claim in your case, they are given a deadline by which they must file their claim. This usually only happens with secured claims but any creditor can file a claim. 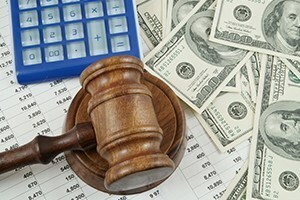 The Bankruptcy Law Firm of Clare Casas handles bankruptcy cases in Miami, Hollywood, Fort Lauderdale, Plantation, Pembroke Pines, Sunrise, Coconut Creek, Cooper City, Dania, Davie, Deerfield Beach, Hallandale, Hollywood, Inverrary, Lauderdale Lakes, Lauderdale-By-The-Sea, Lauderhill, Margate, Lighthouse Point, Miramar, North Lauderdale, Oakland Park, Pembroke Park, Tamarac, Weston, Wilton Manors, Pompano, Coral Springs, Boca Raton, Delray and South Florida.